I have almost readjusted to being back home and am reflecting on my journey/adventure with Babu and his crew from Advent Himalaya Treks. From the first introduction to Babu, the tone was set for an experience with a leader that had a light, good humor and was dedicated to making this "our" adventure. We had a group of eight, with an average age in the mid-60's, both men and women. 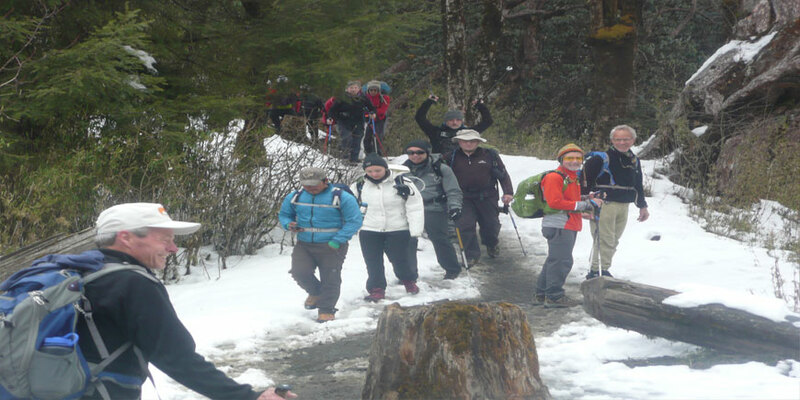 A trek was planned that could satisfy all levels of fitness without cramping the desires of anyone in the group. As the trek got into the latter phase of six days, it was suggested that we might want to break up into two smaller groups, one for a longer hike for two days and one for a shorter distance. The support crew was available to ensure that our quality of care was not diluted and all participants were able to satisfy their interest in level of effort. The unexpected benefit was to change the dynamic of the group during this period, so that more intimate communication was appreciated during this interlude. We reconvened at the end of the trail and continued on to the rafting phase of our adventure. I appreciated the comfortable profes sionalism of Babu and his team. They guides were engaging and friendly, and ready to help in whatever way our group needed them. Thank you for wonderful experience and a fine adventure.